This was a picture that I started months ago and have just gotten around to coloring and shading in. 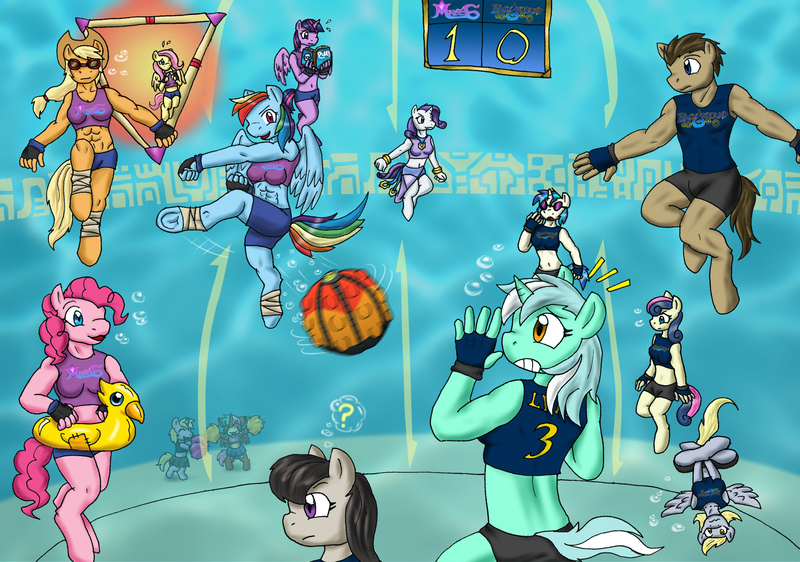 This was inspired from watching a friend play the HD Remake of Final Fantasy 10 on the PS3, and I thought how My Little Pony characters would look like playing Blitzball. So I pitted the "Mane 6" against the fan-named "Background 6" consisting of fan favorite background characters. As a little bonus, I added Sakura's ponysona and Derpy's daughter, Dinky as cheerleaders for each team, and dressed Rarity in an outfit based on the summon Shiva.